B9. 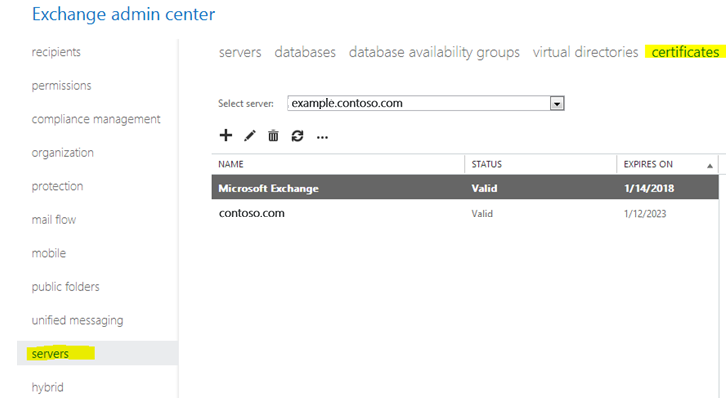 Select an Access type (such as Outlook Web App or OWA), click Edit (pencil icon), enter the domain name that clients will use to connect to it, and then click OK. 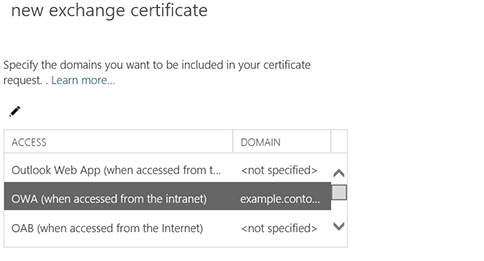 If necessary, repeat the process to secure additional services, and then click Next. 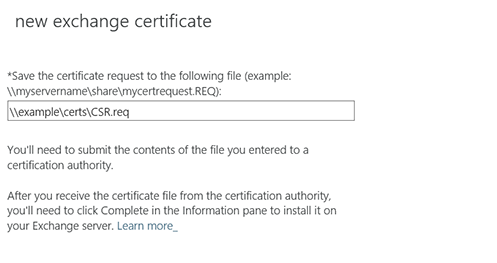 B.12 Add the path where you want to save this certificate request file. Your CSR is generated, now copy and paste generated CSR code into the text editor like notepad that you need to submit during SSL enrollment process. 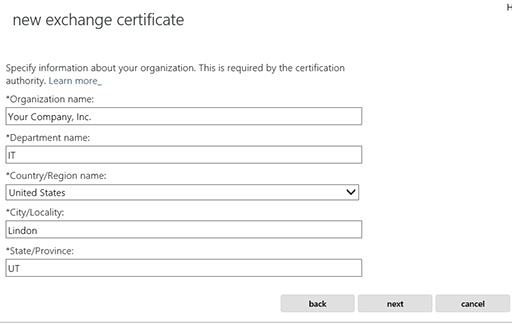 After getting your certificate through the email, you should complete SSL installation process on Exchange Server 2013 / 2016.